‘Entrepreneurial action for others creates a better world for us all (Enactus)’ is a community of student, academic and business leaders committed to using the power of entrepreneurial action to transform lives and shape a better more sustainable world. 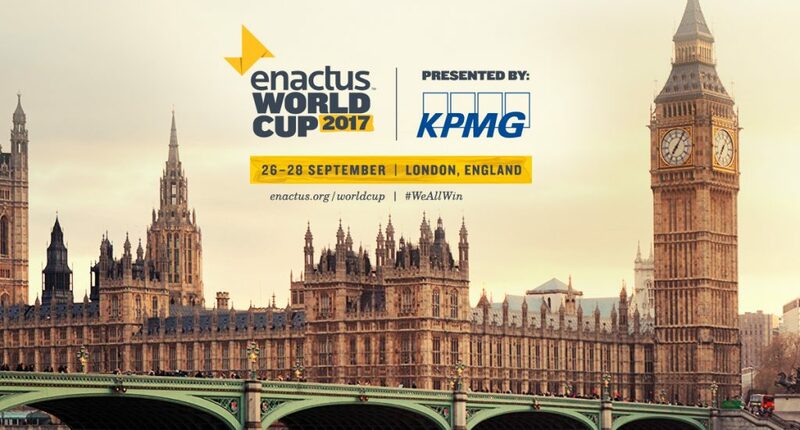 The Enactus Worldcup is the chance for these ideas and projects to be shared through competition, collaboration and celebration. GCU’s student team made it to the UK semi-finals, and in September 2017, the team came down to London where the event took place, joining forces with GCU London staff to support the UK Champion at the Worldcup. 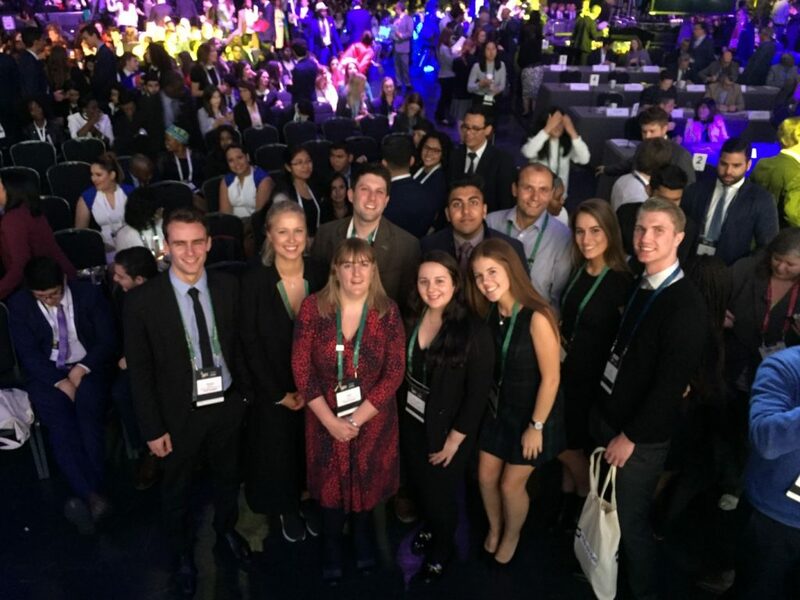 At the Enactus Worldcup, student projects from 36 countries took centre stage for two full days, showcasing the best of student-led sustainable social action projects from around the world. India emerged as this year’s champion, enhancing public toilet facilities, almost eradicating one of New Delhi’s biggest threats to public health. The other finalists came from Canada in which their project focused on alleviating food poverty in the Arctic North, Kyrgyzstan with their project concentrating on stopping the rural youth drain by rethinking agricultural activities and Puerto Rico, who designed a project on holistically empowering and transforming poverty in villages. Each and every project was mind blowing, jaw dropping and simply inspirational! Paul Polman CEO of Unilever, won the award as a thought leader for co-chairing the UN Committee on Sustainability. In his acceptance speech, he stressed that the social entrepreneurial interventions of Enactus projects need to be self-sustaining i.e. be transformational. Further, he picked up on some academic discussion on the need for transformational leadership and corporate social responsibility (CSR) and coined the term “transformational responsibility”. He highlighted that responsibility cannot be outsourced, that working for the Common Good, for a ‘better world for us all’ is what industry champions are working towards and are looking for in their (future) employees. From listening to several global organisations leading on UN initiatives such as the Sustainable Development Goals, It was reassuring to hear that GCU is on the same trajectory. A lot of the issues raised by speakers, such as the fact that responsibility cannot be outsourced is core to what we also teach. For example, on the module ‘Product and Service Innovation and Global Logistics’, part of the MSc in Global Marketing, students formulate responsible sourcing and logistics policies to realise their proposed innovation. The Enactus Worldcup certainly raised the bar in terms of understanding the real difference that university students can make to the world by taking entrepreneurial action, and also proudly take a stand for it. This is something that we at GCU London aim to do more of – maybe as part of GCU’s Enactus team at the next Worldcup! One student, one society, one University at a time making a difference. Great to see GCU Glasgow and London co- working and joining up efforts for the Common Good!